The Southwest Power Station Unit 2 is a 700 million dollar addition to an existing power station in Springfield, Missouri. 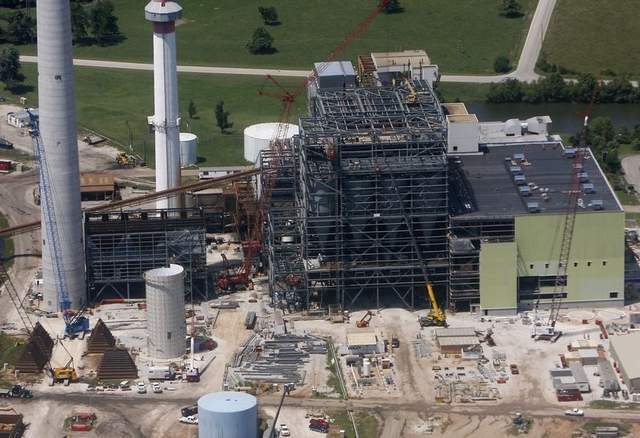 This 300 megawatt coal fired plant was built by City Utilities of Springfield and was completed in 2010. Hayes Drilling’s involvement included installing 318 shafts up to seven feet in diameter for the main plant substructure and chimney foundation. In addition high capacity rock anchors up to 150 kips were required in 76 of the drilled shafts. Conditions on this site included high water table and pinnacled rock requiring up to forty-six feet of rock removal in the shafts. Up to four rigs were on site to complete the project within the original schedule.